Octek is excited to present a more capable and energy-sipping ZBOX Mini PC – the ZBOX CI329 nano. Powered by an Intel Gemini Lake processor with an integrated Intel UHD Graphics hardware, this latest model can deliver performance to power through everyday tasks such as web browsing, checking e-mail, streaming music or videos, and light productivity related tasks in perfect silence. The ZBOX CI329 nano is powered by an energy-sipping, quad-core Intel N4100 processor which offers great power efficiency without compromising computing power, consuming up to 13 Watts of power under heavy loads, and sipping just 6 Watts of power at idle. 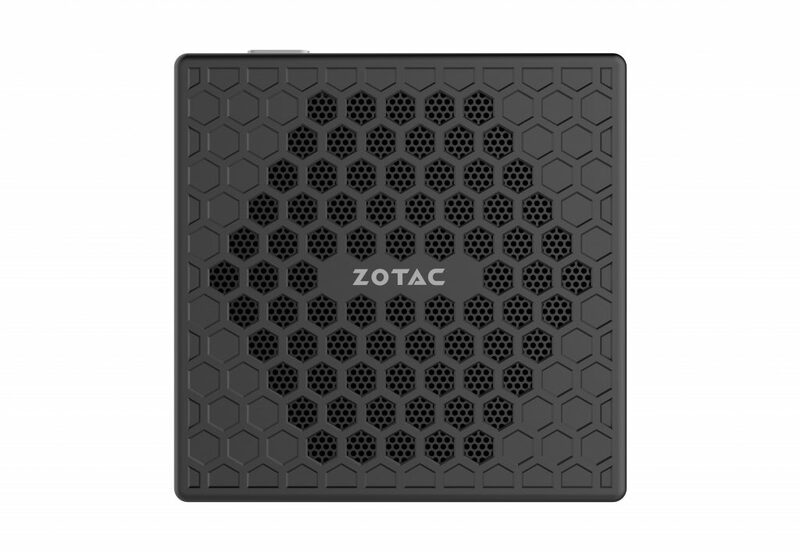 Along with low power consumption, the new ZBOX Mini PC comes with a full range of connectivity including 5 USB ports, an SDXC card reader, Headphone and Mic jacks, dual Gigabit Ethernet ports, 802.11ac wireless, and Bluetooth 5.0 for hassle-free expansion or connectivity to fulfill everyday computing needs. The new ZBOX Mini PC is equipped with a variety of display outputs including DisplayPort, HDMI, and VGA. You can experience 4K display @ 60 Hz with ease and expand the visual experience with up to three displays. With VESA mounting compatibility, it also adds nimble versatility and mobility that allows placement almost anywhere. A silent powerhouse that inherits the honeycomb matte black design from the best-selling C Series Passively Cooled Mini PCs. The ZBOX CI329 nano’s carefully engineered thermal design with a breathable surface, enables the power within the CPU to be unleashed without the need for any fans. The unique design also grants superior heat dissipation providing a still cool to the touch exterior even under full load. Easily upgrade the Mini PC with tool-less access to SO-DIMM memory slots and 2.5” HDD/SSD bay for simple expansion with your choice of Operating Systems.